Inspired by the moon, sea and Mexican fold healing, Luna y Mar features six suites that float on the spa’s pool and have direct access to waterfalls, two more sound therapy rooms and two deluxe couple suites that include private hot tubs and private pools. Take advantage of the aquatic elements including wet-area grottos, a saltwater meditation pool, steam rooms, saunas, ice rooms and whirlpools. Signature treatments include exotic ingredient like chili oil, rose crystals, jasmine and more. sea. For night owls, guests can book an evening Starlight Spa experience which offers after-hours access. For a fresh, new face be sure to book our favorite treatment, the True Botanicals Anti-Aging Facial. Guests can also choose from 35 complimentary fitness classes per week, from beach bootcamp to Reformer Pilates. the once native language of Baja California. 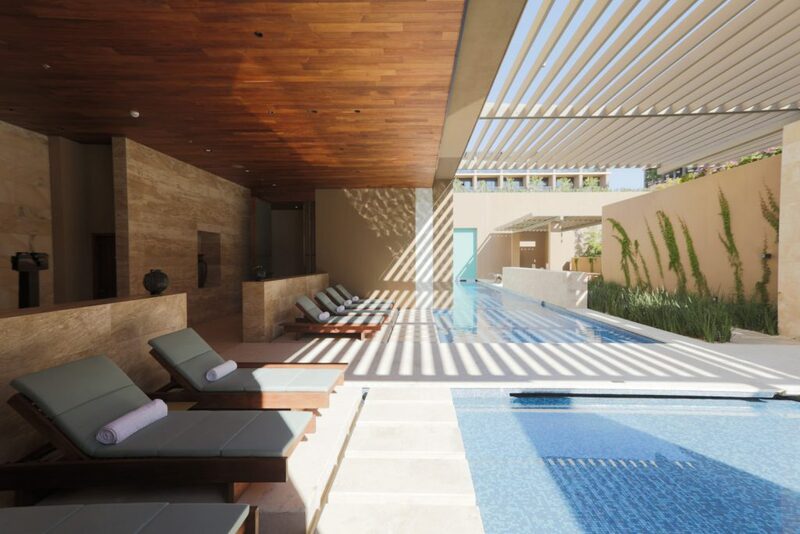 Inspired by the region’s local culture, Jasha Spa incorporates a variety of innovative experiences like a traditional Mexican ritual in the spa’s ancient pre-Hispanic Temazcal, modern outdoor facility that promotes health and well being. Cool off or warm up in the vitality pool, Jacuzzis, saunas, showers or outdoor lap pool that faces the ocean and features underwater sound. Complete with a yoga garden and juice bar, the One&Only Spa does not lack when it comes to wellness. A total of 13 private treatment villas feature their own courtyard, and many with a plunge pool, rain shower and swinging day beds. The spa recently added a Temazcal, an ancient healing ritual that combines medicinal herbs, heat, steam, indigenous music and copal incense for an intense healing experience. 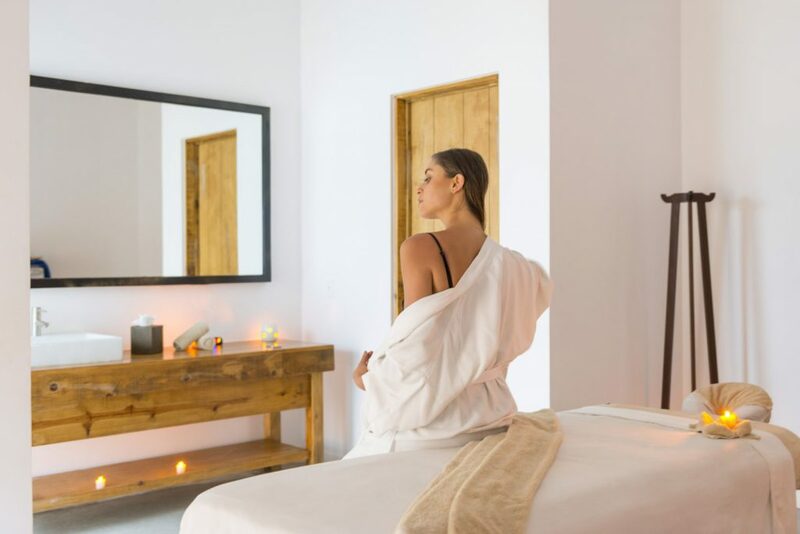 The spa has also recently partnered with Wanderwell to launch a series of exclusive three-day retreats, packed with workshops, culinary classes, spa treatments, yoga sessions and more. 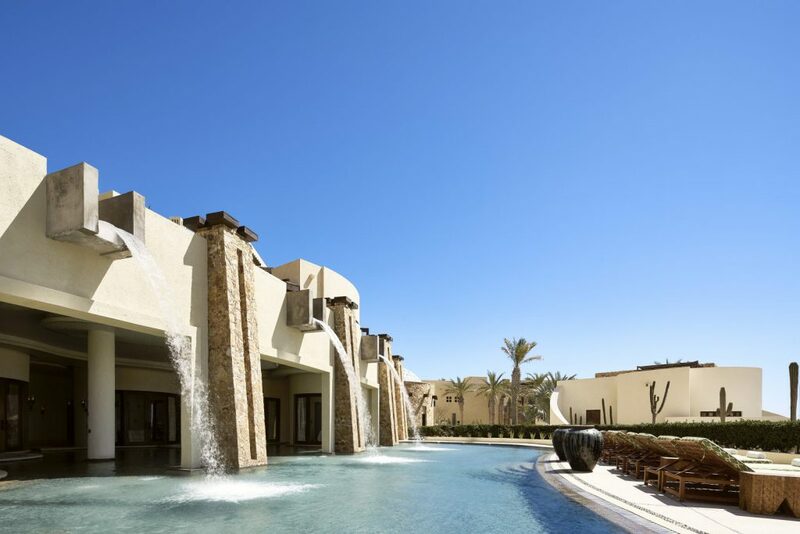 Armonia Spa has six spa settings at Pueblo Bonito resorts, including four in Cabo San Lucas. The spas feature their own 100-percent certified organic product line used throughout the treatments. Golfers can take advantage of two golf massages that focus on the hamstrings and upper and lower back using Quiropractic, a therapeutic sports massage that uses the hardness and pores of golf balls for muscle fiber separation, similar to hot stone massages. Indulge in locally inspired treatments at this zen-like spa. Featuring 10 treatment rooms, wet areas, a cold plunge pool, Jacuzzi, steam room, sauna and ice fountain, guests can fully check out here. Too cozy in your room? Request an in-room spa service from aromatherapy and body wraps to hot stone massages and more. 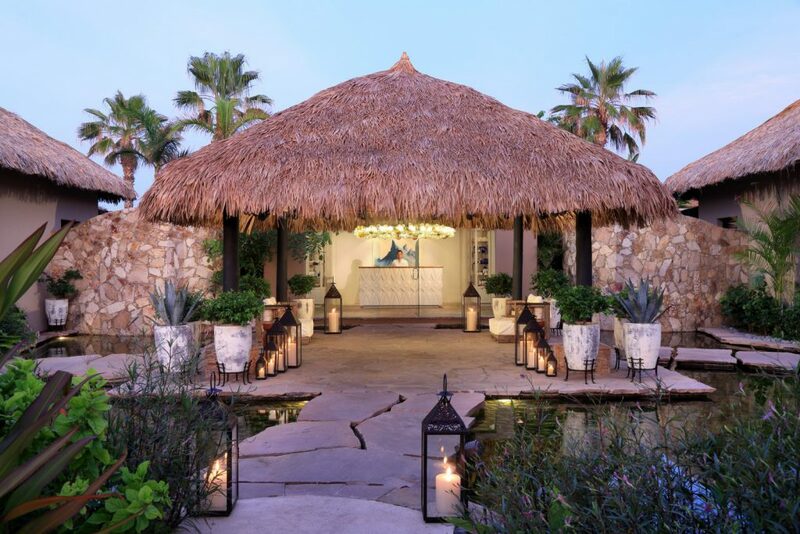 Inspired by the Baja’s healing traditions, Auberge Spa has 10 treatments rooms, a relaxation garden, an aromatherapy steam room, a salt inhalation and misting alcove, hydrotherapy pool, reflexology pool and more. The highlight is its Purification Garden which is an outdoor bathhouse that combines do-it-yourself therapeutic rituals in a self-directed sequence. The spa also features Auberge’s signature handcrafted treatments that infuse the surrounding natural elements. From massage treatments, rituals, aromatherapy and more, this boutique spa has it all. Exfoliate and hydrate with the Damiana Flower Treatment, which uses the aphrodisiac properties of the Baja desert flower or indulge with the Mezcal Ritual, a detoxifying experience complete with an agave scrub, mezcal lotion massage and desert day purification process. 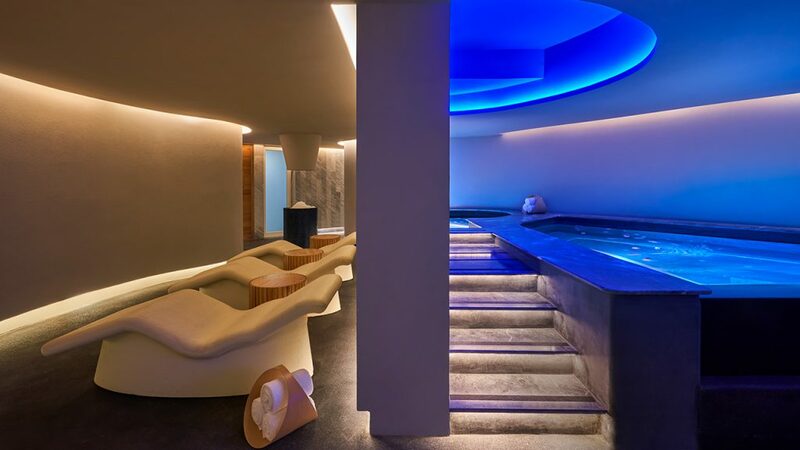 The spa features five spacious treatment rooms, plus a therapy pool, sauna, steam room, relaxation room and indoor gym with Kinesis.